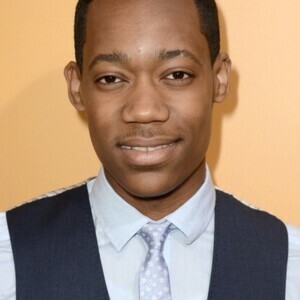 Tyler James Williams Net Worth: Tyler James Williams is an American actor and rapper who has a net worth of $5 million dollars. Born October 9, 1992 in Westchester County, New York, he is best known for his portrayal of the title character of the Chris-Rock-inspired sitcom Everybody Hates Chris as well as his role of songwriter Cyrus DeBarge in the Disney Channel movie Let It Shine. He began his show business career shortly after his mother realized he was capable of spot-on impersonations. Always the ‘ham’, it wasn’t long before his comedic skills landed him an agent and his first professional gig, at age four, as a series regular on “Sesame Street”. Williams stayed with the show for four years. His next stop was Bill Cosby’s animated series on the Nickelodeon Channel, Little Bill, where he took over the voice of Bobby Glover for seasons three and four. He also did some background work in a number of sketches on Saturday Night Live (SNL), where Williams honed his comedic timing by observing the veteran players of SNL. In 2005, Williams expanded his resume by appearing on an episode of Law & Order: SVU and as an extra in the sports gambling film Two for the Money, starring heavy-hitters Al Pacino and Matthew McConaughey. It was during this same time that his comedic abilities led to his biggest career break yet. In a sea of Chris Rock-wannabes, Williams was handpicked to star as Rock in the comic’s semi-autobiographical sitcom Everybody Hates Chris. The show, narrated and produced by Chris Rock himself, was loosely based on Rock’s real-life and his rocky upbringing in Brooklyn’s Bedford-Stuyvesant neighborhood. Williams found more doors opening for him, including booking television commercials and parts in a number of films. Tyler’s brother Tyrel Jackson Williams is also an actor.